For those who don't know- Etsy is an online platform for entrepreneurs that specialize in handmade or unique vintage goods. The majority of their revenue comes from charging sellers a fee to post an item as well as a commision once the item sells. However they do have additional income from advertised posts, direct checkout and discounted shipping labels. The company was founded in 2005 but recently has it's initial public offering in 2015. 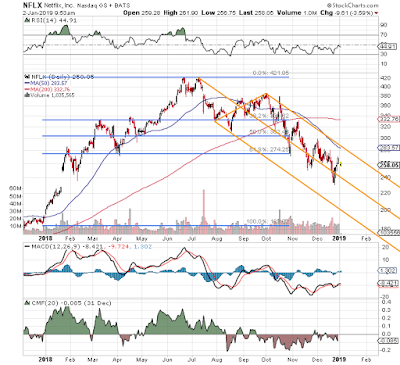 It's up 150%s since the initial public offering but is up over 230% in the last year alone. But I don't think the stock is done just yet. I could run and secure my profits- but for a few reasons i'm expecting even more from them over the next few years. 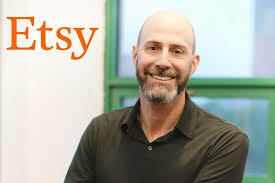 Incase you missed it, Etsy reported two hundred million dollars in revenue in quarter four of 2018- it's largest single single quarter revenue ever. It marked a 44% increase compared to Q4 of 2017. But it's not just a single instance- they have increased revenue each of the last four years, for a total of 140%. This large jump could be in large part due to their increase in commision rates- originally they charged 3.5% on each item sold- now they charge 5% on each item PLUS shipping. A 40% increase on their largest revenue stream has clearly given their revenue a major boost. I think Josh Silverman has been on of the best CEOs of the last 2 years- and one of the better executives over the last decade. He helped Ebay grow in the early 2000s, he helped ink the lucrative deal of Skype/Microsoft and he also held executive rolls at American Express and ShakeShack. He has been able to increase sellers fees while keeping moral up. They have increased their active sellers by 9% and active buyers 20%. He fixed the website and made the experience for customers smoother- he introduced direct checkout and now 33% of all items are now "free shipping" for customers. He is hungry for growth- his resume shows it, and his short time at Etsy shows it as well. Plus, who can compete with Etsy anyways? what online retailer exclusivley sells handmade goods? I don't suggest competing with Amazon- but that's Etsy's biggest competitor.. but Amazon handmade is minor compared to Etsy. It is burried in the Amazon website behind cell phone cases and used books. They don't have as many active buyers or sellers, to be honest I wasn't even aware Amazon handmade existed until I started researching Etsy. When I think of Etsy I think of one thing- a bottomless pit of manufactured inventory. A definition that is not exactly synonomis with the handmade movement.